When you are a driven neurosurgeon but not a morning person, sometimes it’s about your socks. Yet, in her daily work, misplaced colors are critical. Dr. Kim is trained in neurosurgical oncology and engineering, and she spends her time reviewing brain scans and making sense of a cacophony of colors, shapes and patterns. All too often, a colored dot in the wrong place means a life-threatening brain tumor. Committed to continually improving the treatment of her patients, Dr. Kim has helped pioneer novel ways to fight brain tumors on the molecular level by developing nanomaterials that can target specific cells in the body. Nanomedicine is the art of synthesizing microscopic materials to diagnose or treat something harmful in the body. In addition to exhibiting the characteristics of the compounds from which they are made, nanomaterials can acquire new properties due to their extremely small size. “I want to use the technology to discover safer ways to detect brain tumors earlier,” Dr. Kim says. Her lab currently specializes in a compound called a quantum dot, a semiconductor so small that its electronic properties make it glow with great intensity when struck by light. Quantum dots are currently used in the newest television monitors to offer the best possible image quality and resolution. However, Dr. Kim and her colleagues are using the dots to study cancer. Her team is exploring how quantum dots behave. She’s using this understanding to synthesize the dots to seek out brain tumor cells and, like a bird dog, point to their location. The quantum dots can paint tumors with different colors, allowing surgeons to shine a flashlight of sorts on the brain. The illuminated cells provide a detailed map of the disease, showing surgeons exactly which tissue needs to be removed. But quantum dots also show promise as a therapeutic tool. Dr. Kim is finding that the dots can be loaded with different substances and serve as nanocarriers, delivering drugs to specific disease sites rather than inundating a patient’s entire body with toxic compounds. “We envision that new nanotechnology tools will be routinely employed in clinical medicine for earlier cancer detection, enhanced drug delivery and personalized therapies,” Dr. Kim says. This article, part of the "Meet the Researcher" series, originally appeared in Forefront, Mayo Clinic Cancer Center's magazine. 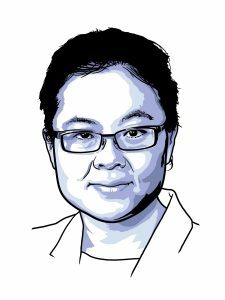 Dr. Kim has her own research program: Cancer Nanotechnology and Immunology, and is an active part of Mayo Clinic Cancer Center. A National Cancer Institute (NCI)-designated cancer center, with campuses in Phoenix, Arizona, Jacksonville, Florida, and Rochester, Minnesota, Mayo Clinic Cancer Center has 10 distinct research programs that focus on cancer. These research programs lead to the exchange of information, experimental techniques and ideas that enhance the individual productivity of scientists and often result in collaborations and joint publications across the three Mayo Clinic campuses and with other institutions.